Apple is reportedly getting out of the wireless router business in a move to focus more on consumer products that generate the bulk of its revenue. According to Bloomberg, the company has disbanded the team that was working on wireless routers and moved engineers to other projects. People familiar with the matter told Bloomberg that Apple began shutting down the wireless router team over the past year, dispersing engineers to other product development groups, including the one handling the Apple TV. 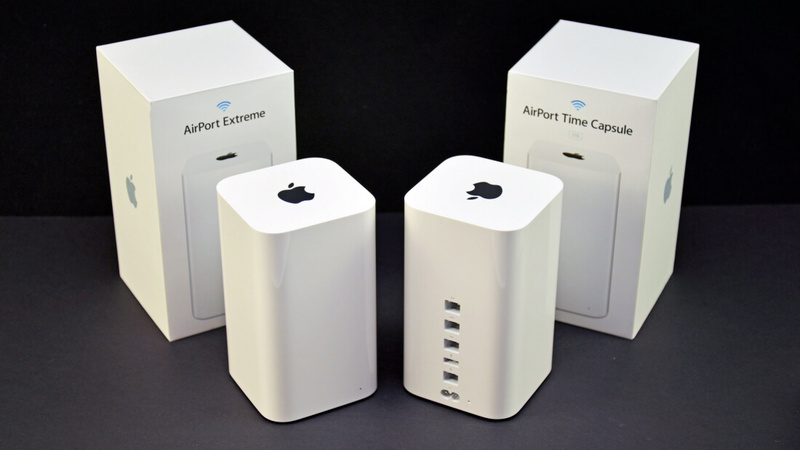 Although the decision hasn’t been publicly announced, the internal changes suggest Apple has no plans to update the AirPort Extreme, Time Capsule, and AirPort Express products. Apple hasn’t refreshed its routers since 2013 when it renamed the Time Capsule as AirPort Time Capsule and added support for the 802.11ac standard. Their portable AirPort Express on the other hand remains available to this day with last-generation 802.11n performance. While the routers likely never sold in huge numbers they helped Apple deliver things like AirTunes (the tiny AirPort Express plugged directly into an outlet and had a headphone jack to plug to your speakers to sent music to another room over wireless) as well as seamless Time Machine backups (putting a hard drive into your its Wi-Fi router with the Time Capsule ) before there was AirPlay and iCloud. Today, companies like Eero, Luma and Google are trying to innovate in the wireless routers scene with modular designs that work as part of a mesh network to cover larger homes, as well as more consumer friendly management through smartphone apps. It looks like Apple won’t be joining them in the fun.